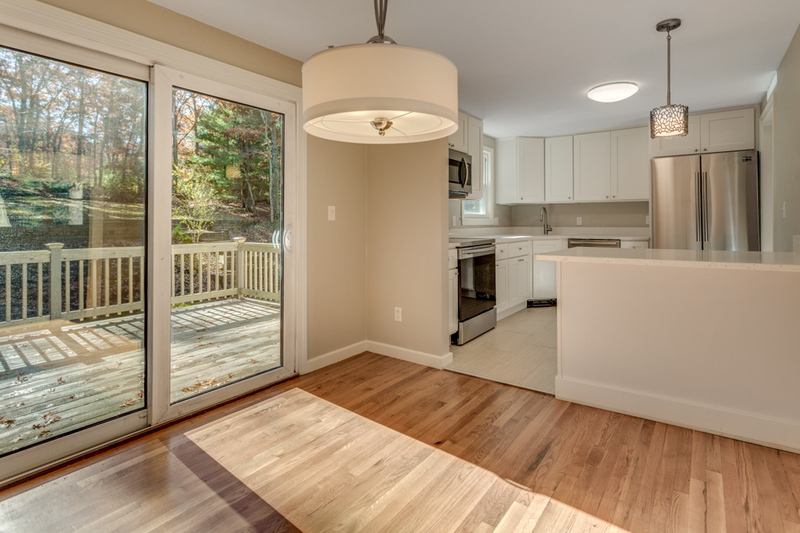 Our completely rehabbed West Plymouth home features great location & new everything: $380,000. 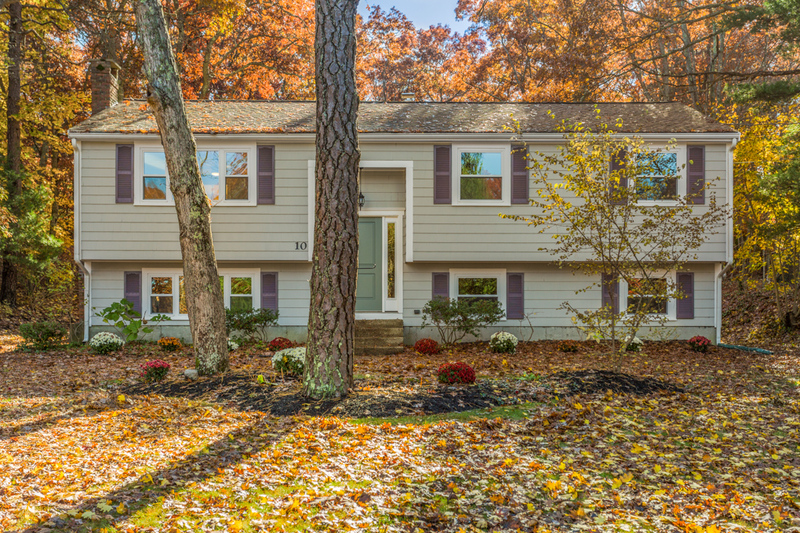 Private, lower-level den (or master bedroom) has working fireplace and spacious newly installed, tiled bath. 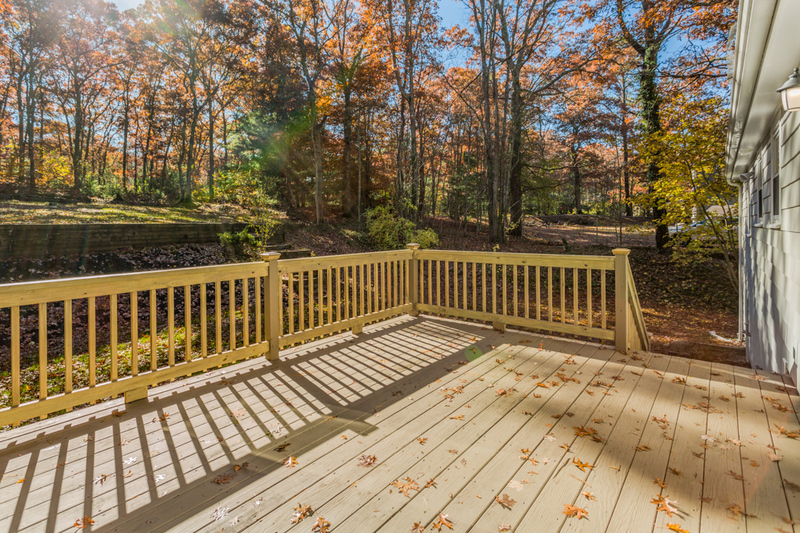 Rear raised deck, accessible from sliding glass doors, overlooks flat backyard, with landscaped steps to a second grassy level shrouded by great mix of trees. New septic! 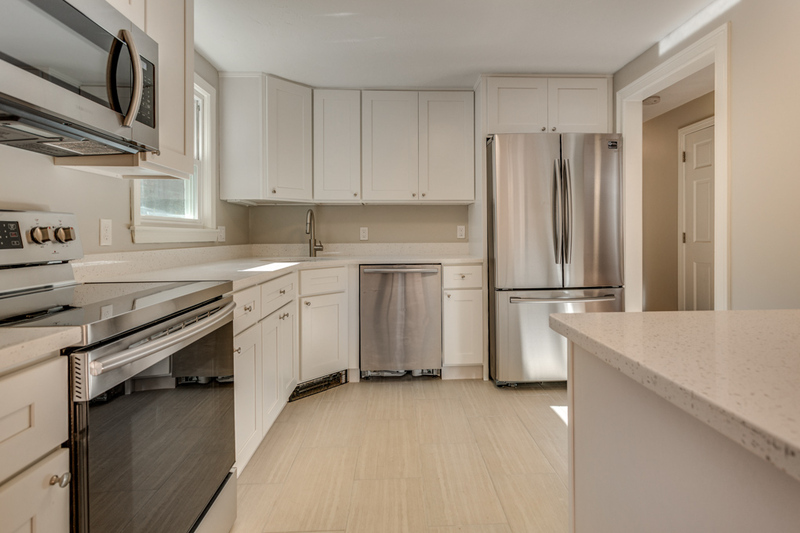 Sparkling new kitchen with granite counters & stainless appliances. New quality windows throughout and new front door with attractive side panels. Two new baths. Brand new boiler, hot-water tank and upgraded electric. Refinished hardwood floors. Fresh paint inside and out. Freshly paved driveway. Carry firewood through lower-level door to fuel brick fireplace with new damper, easy to open & close. Stay cozy through winter awaiting spring trees to blossom!